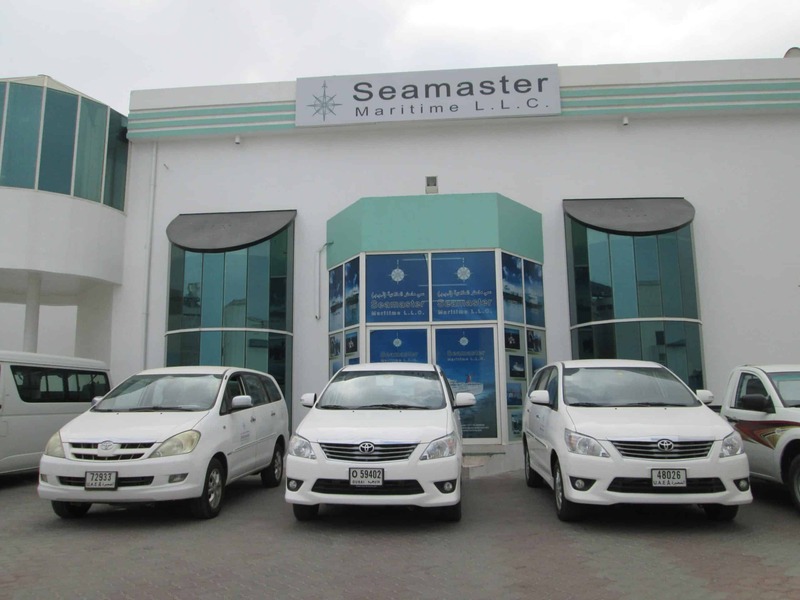 Welcome to Seamaster Maritime L.L.C. Seamaster Maritime L.L.C. was established on the 1st of January 2000 and is a 100% privately owned ISO 9001: 2015 certified GCC national company. On the 7th of April 2009, Mr. Ali Mohammed Saeed Bujsaim bought out the shares in the company V.Ships Agency L.L.C. and V.Group exited fully from the organisation in the UAE. Henceforth, the company began trading under its current name Seamaster Maritime L.L.C. With our head office in Dubai and branch offices in Dubai (JLT), Fujairah, Khor Fakkan, Ras Al Khaimah and Sohar (Oman), we are able to physically cover all ports in the UAE and Oman. We operate 5 mini-supply vessels in the UAE, two warehouses (Dubai and inside the Port of Fujairah) and our own fleet of vehicles for crew changes, transfers and logistics. Besides ship agency services for all types of vessels, we offer dry-docking attendance freight forwarding, ships spares clearance and delivery, project and heavy lift cargo, STS operations, gas logistics services,bunker surveying, warehousing, in-house broking and chartering. helm of Seamaster Maritime L.L.C. With a strong network of sub-agents we have successfully handled vessels all over the world for the past 15 years, handling over 1000 vessels a year. All our offices are physically manned and run 24/7, with a round the clock contact number readily available. Our current total staff strength is 66. 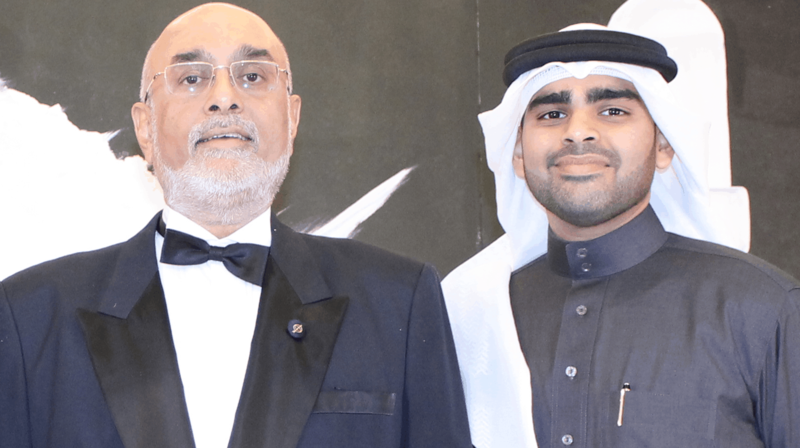 Mr. Rashid Isa Rishi Al Heddi has been at the helm of Seamaster Maritime L.L.C. since the formation of the company in 2009 and has met with great success since. Formerly with V.Ships Agency, he rose to the position of global head of agency during his 9 year tenure with the organization. He has extensive experience in all aspects and activities of shipping spanning over 40 years in the Middle East and Global markets. Studied Project Management and graduated with honours in 2009 before joining the Dubai Drydocks. There, he worked as a coordinator for two FPSO conversions (TI Africa and Asia) for the Euronav/OSG joint venture. He has now been with Seamaster Maritime L.L.C. since 2010, and after setting up their latest venture in Sohar is focusing on local, international marketing and operations. Over 18 years of handling finance and accounts in shipping industry last 16 years with Seamaster Maritime L.L.C. He is a well experienced individual in handling all shipping related accounts (including key accounts and tenders), vessel final disbursement accounts and other related financial matters including management reports. He is strict in monitoring accounts and the financial health of our organisation, and is responsible for all transactions in and out. Mr. Diany also is our key person in dealing with the DA Desk system. 18 years of experience in the oil and gas industry which included command of tanker vessels, advanced shipboard services and management, port operations management, and short stints with audits and flag state inspections. Capt. Kaushik has hand on experiences on oil tanker and ship to ship operations, and has managed multi-faceted oil tanker terminal operations. A qualified and active member of ICS, he has also worked with oil majors, handled fuel, crude oil and diversified range of petrochemicals (i.e Gas Oil, Naphtha, Jet Fuel, Gasoline blends). Mr. Mubin Modak has a Bachelor of Commerce from Pune University, with 6 years of sailing. Over 7 years of ship agency experience handling various types of vessels, and is the main point of contact for Oman. Well versed about the local Oman market and business opportunities. Having been with Seamaster Maritime L.L.C. for over 11 years, Bela is extremely diverse in her role and capabilities. She identifies targets and business opportunities, and consults with senior management on commercial matters to increase profitability. Bela also negotiates rates for hotels and assists sales visits of senior management globally. 16 years of experience in the shipping industry as a whole – agency, logistics, commercial and ship management. He has a wealth of experience in handling various types of cargo calls for vessels loading and discharging all types of bulk cargoes (wheat, soya, aggregate, sugar, steel etc) and project cargoes. Commercial handling, time/voyage charters of various types of vessels for offshore projects, heavy lifts and bulk trade lines. Sajid has been with Seamaster Maritime L.L.C. for 14 years. He is responsible in taking care of the hub umbrella for all ports in the Arabian Gulf. Has a wealth of experience in handling all types of vessels including bulk, break-bulk, tankers, containers, gas, RORO, cruise, yacht and naval. He takes care of our principals with well-organised services that meets their needs and exceeds expectations. 10 years of experience in the marine industry, specialised in vessel operations, material logistics, and husbandry activities. This includes customs clearance, documentation, transportation planning, planning of loading of cargo, handling of container transfers, cross stuffing in the UAE and exportation to various destinations worldwide. Additionally, Sunny has experience in warehouse stock handling, handling of import of marine cargo, issuance of certificate of origin and road trucking in the GCC. 16 years of experience in the shipping industry, and currently managing the Commercial division of Seamaster Maritime L.L.C. During her tenure in shipping, she has expended her knowledge and experience in varied facets of such as ship operations, dry bulk chartering, barge & tug operations, and forwarding & logistics. She is a member of Institute of Chartered Shipbrokers – London and active member of ICS Middle East Branch Educational team.